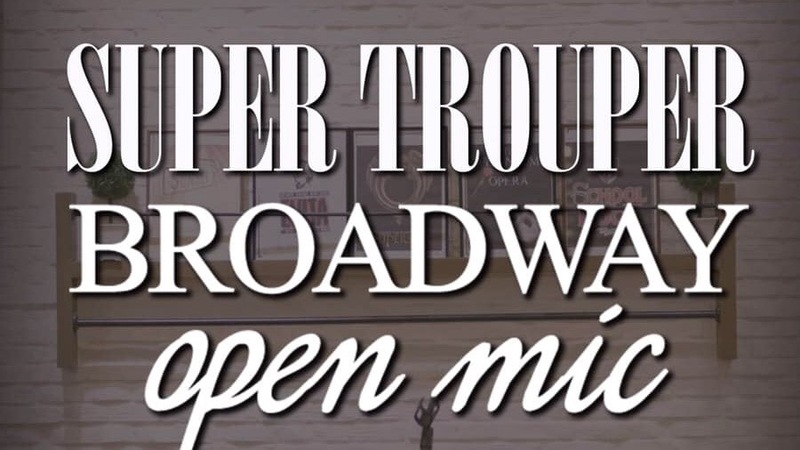 This Broadway Open Mic pays tribute to musicals featuring songs of popular music artists, international and local. Participants can sing songs from the Bee Gees in Saturday Night Fever, Queen in We will Rock You, Abba in Mamma Mia, Frankie Valli and Four Seasons in Jersey Boys, The Go-Go’s in Head over Heels, Air Supply in All Out of Love, to songs from Filipino acts like Sugarfree in Sa Wakas, Aegis in Rak of Aegis, APO Hiking Society in Musical nAPO, and Eraserheads in Ang Huling El Bimbo. 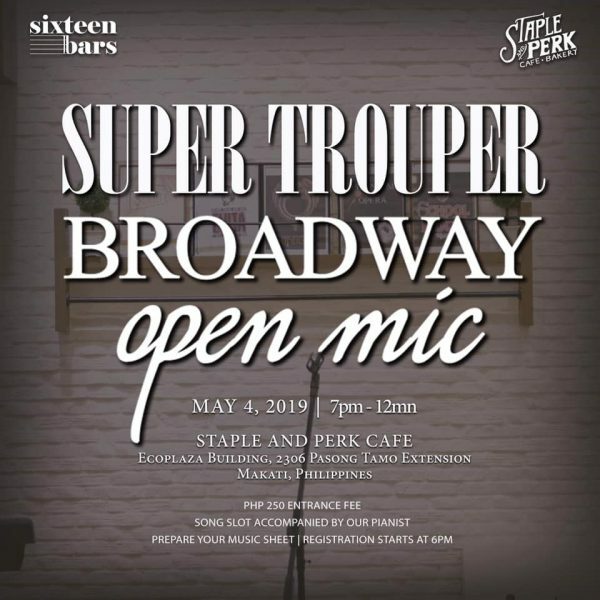 Super Trouper: Broadway Open Mic will be held on May 4, 2019, at Staple and Perk Café in Ecoplaza Building (2305 Chino Roces Ave., Makati City). Registration opens at 6:00 PM. The event runs from 07:00 PM to 12:00 MN. Entrance fee (including one free drink) is PhP 250, inclusive of one performance slot. Performance slots are given on a first-come, first-serve basis, and will only be reserved upon registration at the venue. SIXTEEN BARS is a performing arts education company whose goal is to provide the needs of developing theatre practitioners in Metro Manila. Their services mainly consist of masterclasses, workshops, and other activities geared towards artistic training and comprehensive education in music, acting, dance, and writing. STAPLE AND PERK CAFÉ started out as a commissary supplying breads and pastries to restaurants and hotels in Metro Manila. With the opening of its first 24-hour shop in Ecoplaza Building in Makati, Staple and Perk Café has been serving meals, coffee, breads and pastries to the people of Pasong Tamo Ext. Apart from being a café/bakery, Staple and Perk Café acts as a venue for various art performances and events. Next "Ang Huling El Bimbo" Announces May Extension!